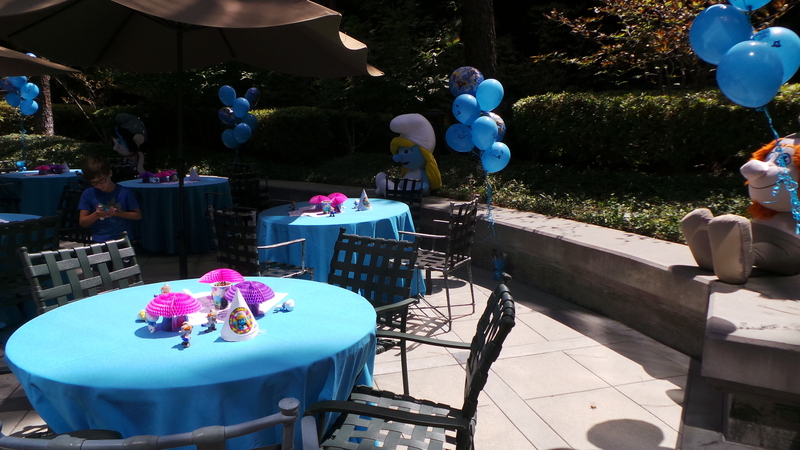 Home » Featured » Smurftastic Party! 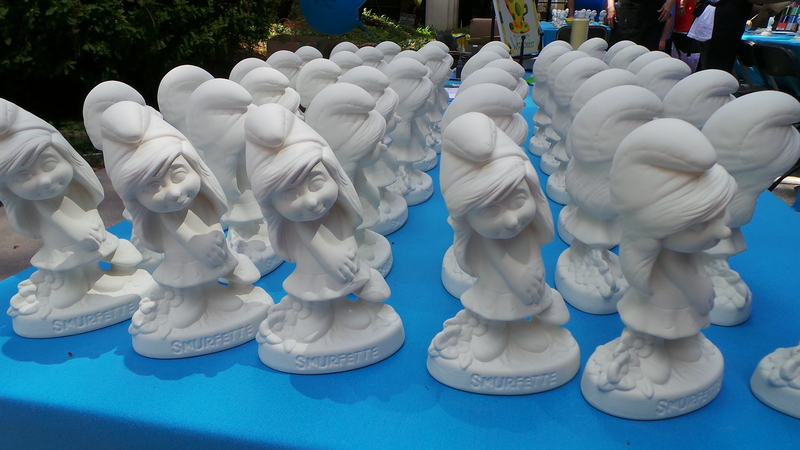 We attended a Smurftastic Party as a guest of Sony. 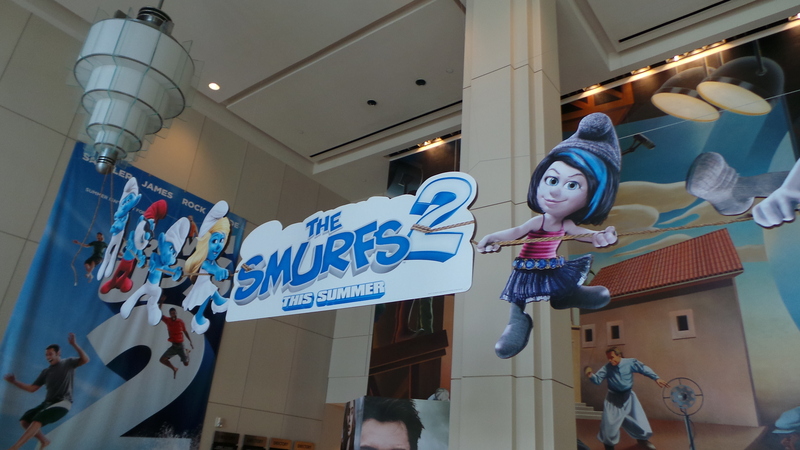 Gather your smurf berries, and get ready, because The Smurf’s are coming back to the big screen this summer with Smurf’s 2 on July 31st. 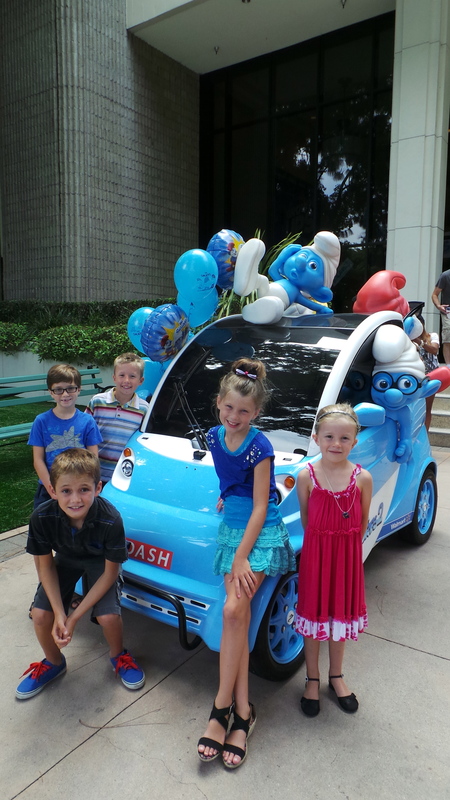 We celebrated the upcoming film in Los Angeles last with a fun Smurftastic Party at the Sony Studios film lot. 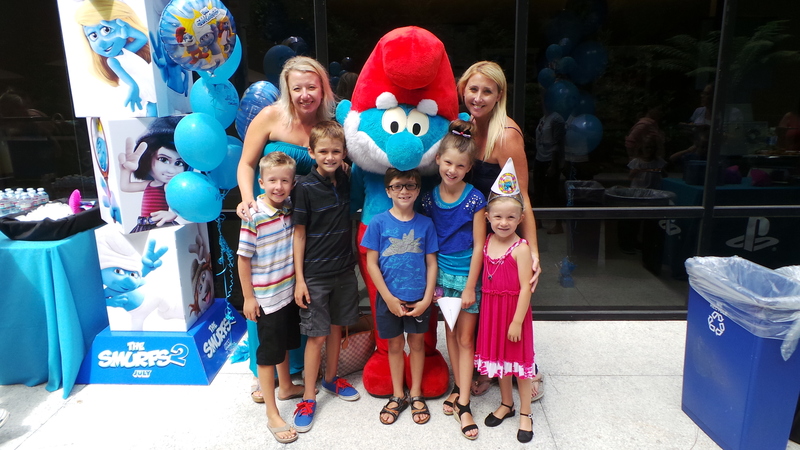 Everything was blue as the kids celebrated together with their friends everything they love about the Smurf’s. 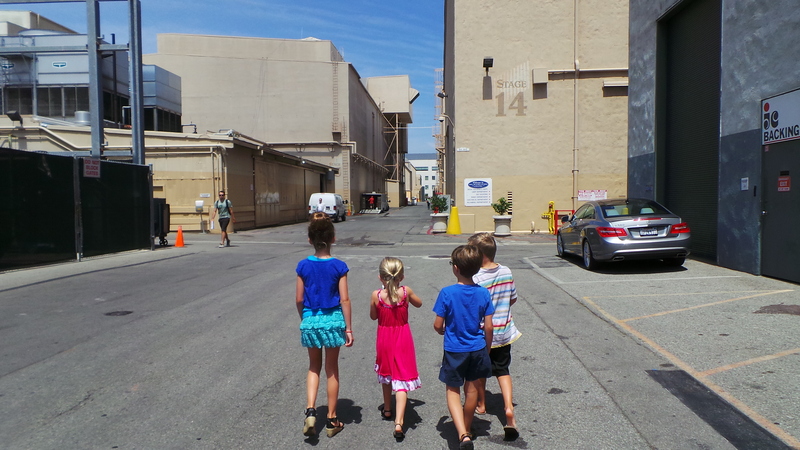 Before the party started, the kids got a chance to see some exclusive parts of the Sony Studio lot. 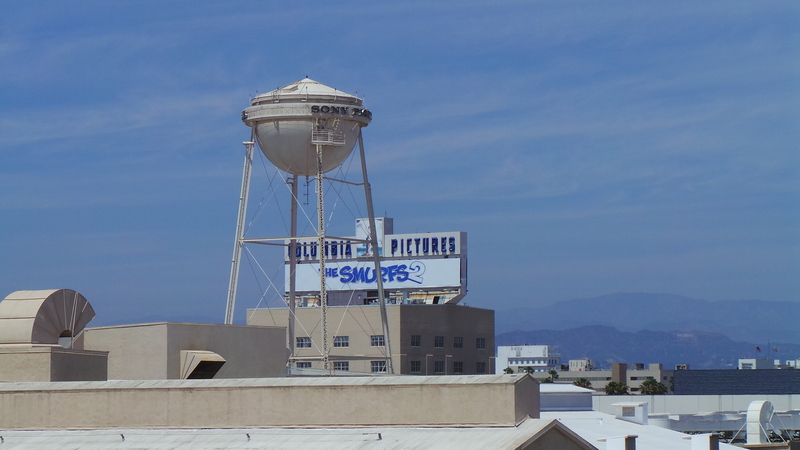 They saw the big sound stages, and actors at work while walking over to the Smurf party. Amy and I even got a little surprise when The “Breaking Bad” motor home went cruising by us! The Smurf’s arrived at the party in their very own Smurfmobile with the windows rolled down and the music pumping. Smurfette had her hair flowing out the car window while Papa Smurf was riding on the back. 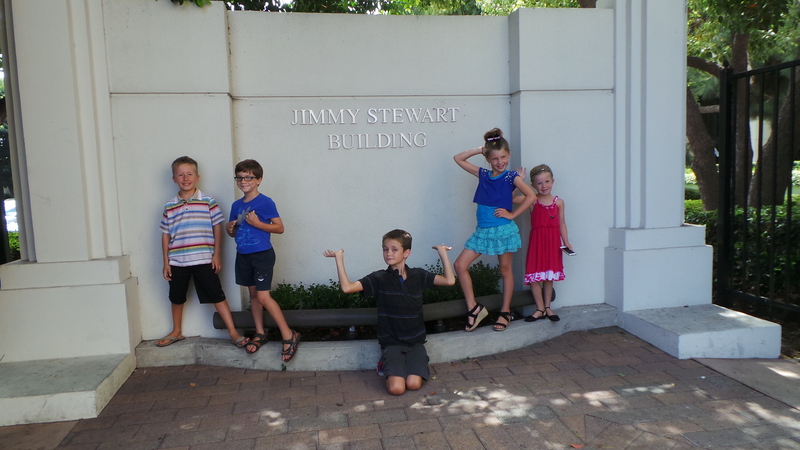 As we walked into the building – everything was blue! There were Smurf’s hanging from the ceiling, and decorations were overflowing. It was one of the most festive parties we have ever attended. 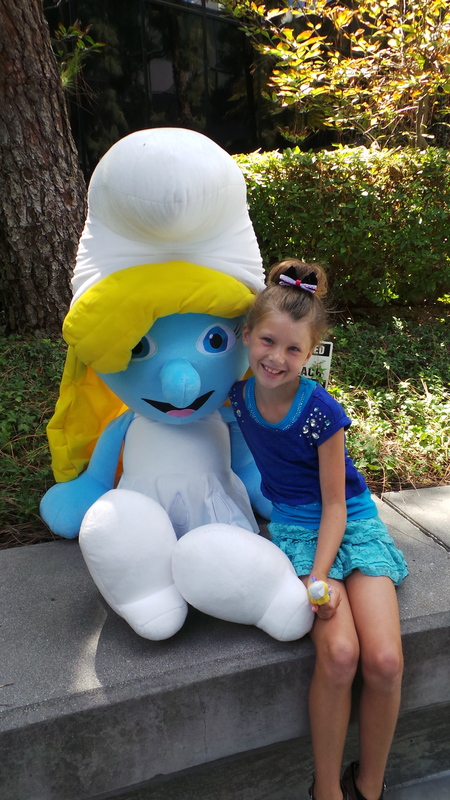 When we walked in, Ella ran right over to a giant Smurfette doll (her favorite character). She was able to cuddle with her during the party, and even got a picture for a keepsake. 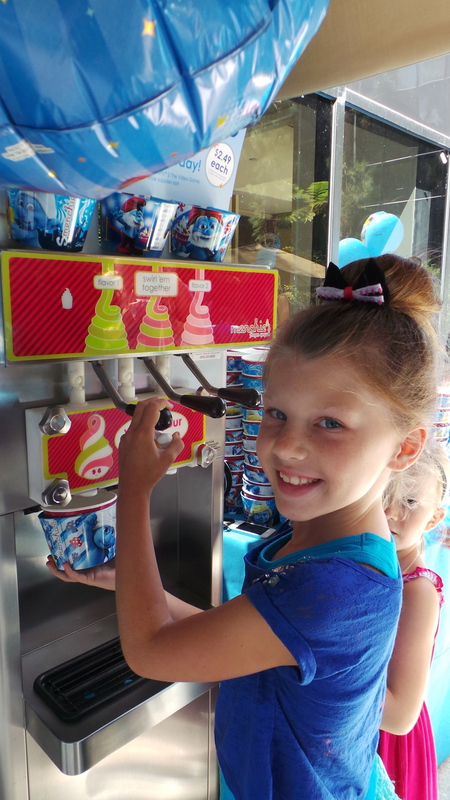 There were tons of blue treats for the kids to enjoy including a self-serve Menchie’s frozen yogurt machine. Everything at the party had extreme attention to detail. 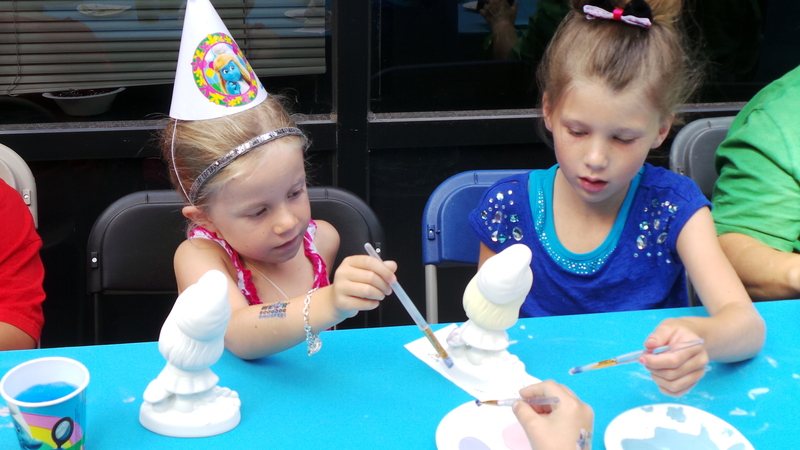 There were coloring sheets on the tables, mini Smurf figures, and party hats. 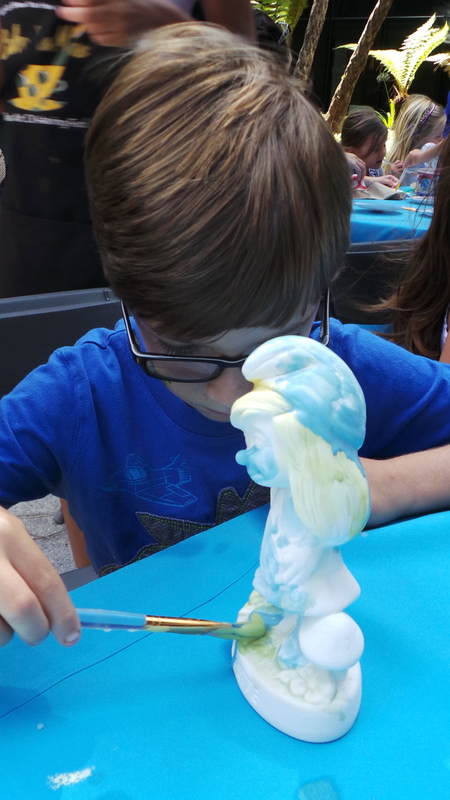 Color Me Mine was at the party with Smurfette figures for the kids to color during the party. 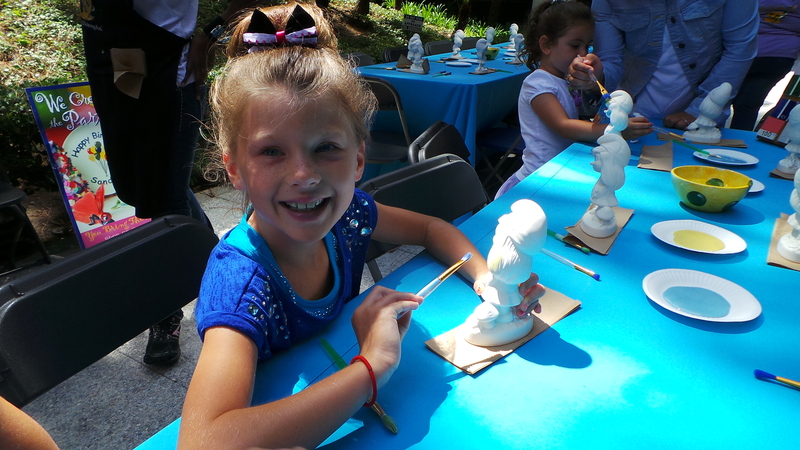 Ella and Ava made their own custom Smurfette’s along with all the other kids at the party to take home as a keepsake. 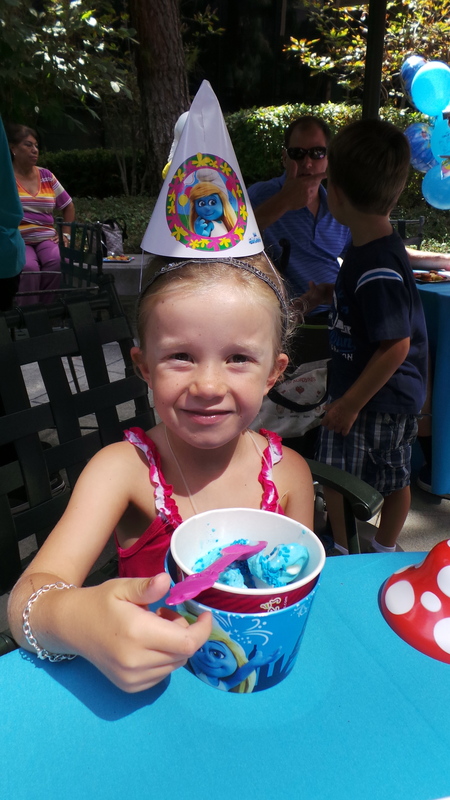 The kids were overwhelmed with all the fun at the Smurf pre-party! They were eating treats, dancing to music, and having the time of their life. The party was every kids dream come true. Then Papa Smurf came to the party to celebrate with all the kids. Tyler was so excited to get an opportunity to hug Papa Smurf! 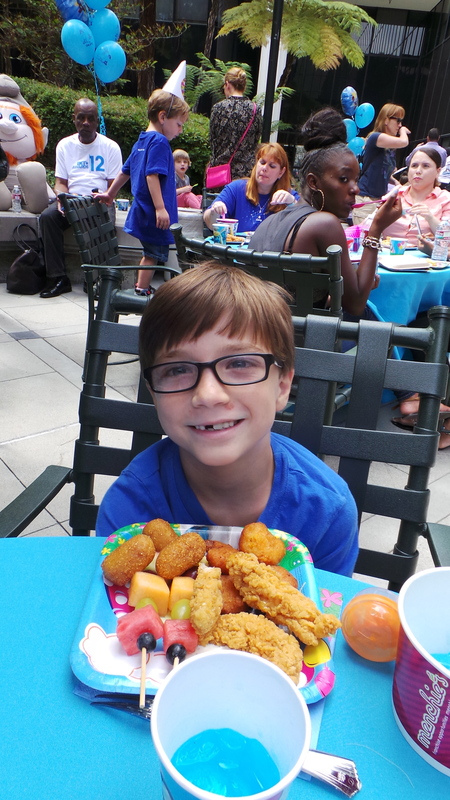 There was also lots of yummy food for the kids to eat. There was chicken nuggets, fruit and blue juice. One of Tyler’s favorite was the Smurf toy machine. 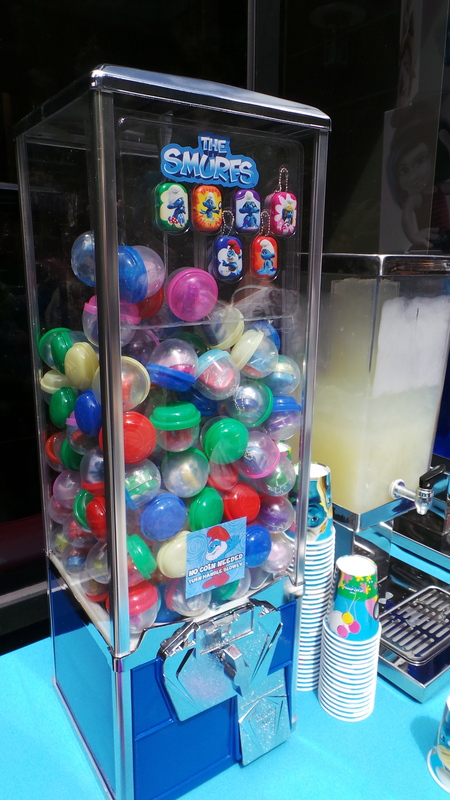 The kids were able to turn the dial (without even needing a quarter) to get their very own Smurf keychain. 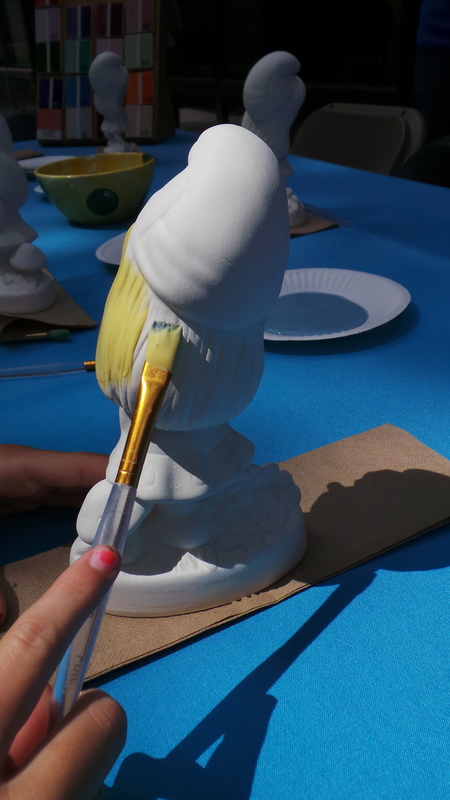 Before the party ended, the kids went back to work on painting their Color me Mine Smurfette figures. They put all the finishing touches on them before we went into the theater to see the film for the first time. 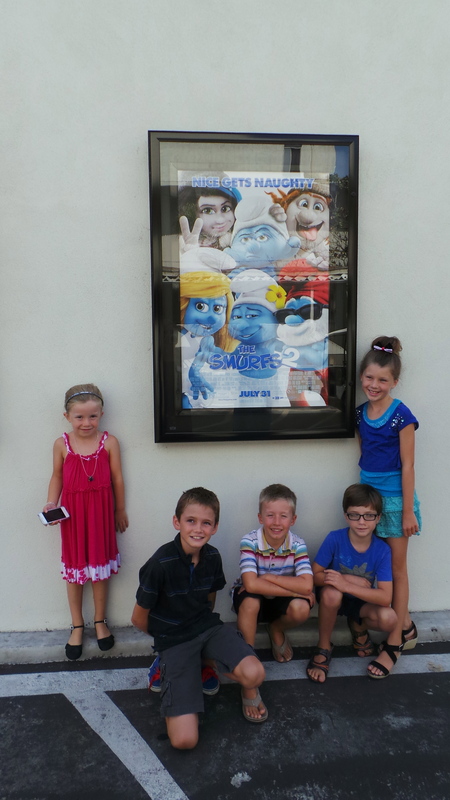 Smurf’s 2 will be in theaters on July 31st.